That sounds totally possible. You would just need to check with the car hire company whether they allow their cars to go cross border. You will need to have a police clearance certificate to take with you and the car hire company would organise that. Apart from that you need the registration book, and obviously current licience discs and insurance which the car hire company will have. When you re-enter Zim you will pay a road toll fee of $10. Zim registered cars going out Zim border posts are very easy, especially the one here at Kazangula going into Botswana. Going into Bostwana you have to buy the regular road permit, insurance and toll fee - exact amount depends on the size of the car but its not that much and in the region of Pula 350 which is $35. 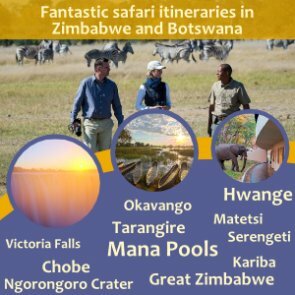 Driving all the way back to Harare seems a bit of a hassle and you might be able to drop off in Vic Falls and fly out of there, but all depends on what your overall plans are and how many there are of you. Hi, you have lots of useful information here, although I see it hasn't been updated for a while... Hopefully you are still answering queries. Most of the information here is about driving into Zim from SA or Botswana. I'm looking at hiring a vehicle in Harare, driving to Vic Falls, then crossing the border to Botswana for a week, then crossing back into Zim and returning to the car to the airport in Harare. Is this possible/easy, and what special documentation will I require for border crossings? In my opinion the roads are perfectly safe to drive, we do it all the time without hesitation, our children do it and our friends do it. There are lots of roads blocks but the police are perfectly polite and will not give you any problems as long as you have all the correct paperwork with you, which you will have if you are driving a hire car. Make sure you stick to the speed limits especially through the smaller towns and don't stop in remote locations for lengthly periods. As with anywhere in the world keep your wits about you and you will be fine. My name is Grigory, I`m from Moscow, Russia. Thank you for this catchy and very informative site. Your site inspired us (me and my GF Sveta) to plan a visit to Zimbabwe. We vould like to come to Harare, hire a car and make a trip Harare - Great Zimbabwe - Victoria Falls - Hwange - Matobo Hills - Harare. We are not absolutely beginners in Africa (Sveta even lived about two years in Rep.South Africa) but this time we face a problem. We are googling and searching for 4X4 vehicle which has an automatic transmission and can`t find it neither at Harare airport nor in the downtown. So we please your advise if it is possible. Maybe you vould so kind to recommend some place or company in Harare where we could find such a vehicle? Allthough I understand that your site isn`t about rental car. Thank you for contacting us and your kind comments regarding our site. Car hire companies such as Avis and Europcar do have 4x4's available but NOT in automatic transmission, the automatics are only available in the sedan cars. I have personally phoned around the car hire companies this morning and confirmed this. On the route you have suggested there is probably not much need for a 4x4 as the roads are pretty good all the way, the main roads are all tar and the dirt roads in the national parks are suitable for 4x2 vehicles, but in the national parks you will need a high clearance vehicle like a pickup or SUV, a sedan would be difficult. If you decide that you still want to do the trip in a manual vehicle, my advice is for you to book it through Avis in South Africa, I know this sounds strange, but the external companies are cheaper and they will also be able to offer unlimited mileage, whereas if you book in Harare you pay a daily rate and you only get 150kms for free then it costs $1.50 per kilometer after that, so gets very expensive. You still pick up the vehicle at Harare airport you just make the booking through the South African company. We can assist you with this if necessary. Again if you decide on doing the trip, please let us help you with planning the accommodation on route, we can advise you of the best places to stay right from Harare to Victoria Falls, we can make all the reservations for you so that you make one single payment instead of having to do bank transfers to each place. WE can arrange the whole thing for you so that it runs smoothly, and it wont cost you a penny more than doing it yourself. I am looking at hiring a car in Zimbabwe. I have heard that some companies ask to hold on to your passport or credit card during the hire period. Is this just a photocopy or the real thing? Thanks for replying twice! Your information has been helpful. I have just phoned Avis to confirm details of your question. They do NOT hold onto your passport or credit card for the duration of hire. They need your passport for verification pusposes after this they give it back to you. They need drivers licence for licence number. Credit they will emboss or swip it only and give it back to you. They currently are having short term banking problems with Visa card so are only accepting American express, but this should be resolved with 2 to 3 weeks thereafter they will be accepting Visa card again. You can pay with cash but a security deposit will then have to be left until the car is returned. 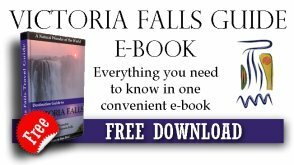 I recently purchased your travel guide and found it to be very helpful for the Victoria Falls area. I just found one mistake that I was hoping you could correct in future additions. In the section on bringing a hired vehicle into Zimbabwe, you stated the Commercial Vehicle Guaratee was 120 SAR. In fact, it was $120 US which definitely changed the amount needed to cross the border. It cost us nearly $250 total to bring our vehicle from Botswana to Zimbabwe! On top of $110 2 x visa fees pretty expensive for a 3 day visit ! I am really sorry for the mistake and thank you for pointing it out. I will certainly change it. Would you mind sending through a breakdown of total costs. We live in Cape Town. We want to buy a 4X4 in Zim or Zambia and leave it in Vic Falls. & Never bring it into SA. Your site is great, we will be booking through you for visit 25 - 29 April 2011. Hi - We are based in UK and are also looking to buy a 4x4 and keep it in Livingstone. We have heard that Nick Selby at Foley's might be able to assist - if you read this Nick - could you reply? Anyone else who has any ideas - they would be most welcome. If you hear of anything reasonable, pref Toyota, pls post a link. 1) There are not many vehicles for sale in that area. Any sales are by word of mouth, there are no car sales yards as such in Victoria falls. You could go through to Bulawayo or Harare and have a much bigger selection. 2) Place to leave the vehicle, unless you have friends there it might be difficult to find somewhere to leave the vehicle. I managed to leave my 4x4 at Rest Camp for some months for a small charge they might let you do the same. You could speak to Olga the manageress. Let me know how you get on, if you want I can forward details of any 4x4 vehicles for sale when they do come up. We are borrowing a friends car when we land in Jo Burg. We are wanting to drive up to Vic Falls. What is required to be able to drive across the border at Beit Bridge? I understand all about personal visa's, but the car side is a bit confusing. Other than documentation for the vehicle, I am assuming they will try to put various 'extra' charges laid on. I have some basic information from AA about what to expect. Is there anything else that you think we may need to be aware of? I understand we will need to pay about r60 for carbon tax. About r200 for insurance. Any others you know about? Basically I want to avoid too much hassle as it may very well be easier to just head into botswana. US$ cash are the best currency to use to avoid getting ripped on the exchange rates. The latsest fees are as already detailed on this post they have not changed. Your insurance and carbon tax is valid for 30 days so they do not need to be paid again - only the $10 road access fees has to be paid every time you re enter the country. However you will have to now pay all the entry fees into Zambia which are also high. If you are just going to Zambia to see the Falls and have a quick look around, don't take your car, take a taxi or a transfer - much cheaper and a lot less hassle than going through all the Zambian paperwork which is slow and expensive. Make sure you have your police clearance, they are now asking for this at the Kazangula border. We are leaving in April and will be entering Zimbabwe through the Botswana borderpost. What currency will be the best to pay for the fees USD, Pula, SAR or creditcard? We will be staying for 7 days in a lodge near the falls but want to do a trip to Zambia how do I go about do I have to pay all this fees again when re-entering Zimbabwe? What is the latest borderfees? a: Affidavit less than three months old for individual owners (obtainable at police stations) and not necessary for your own vehicle. 2: Be a bona fide visitor to Zimbabwe, i.e. b: A Zimbabwean citizen ordinarily resident outside Zimbabwe (proof required in the form of a valid permit endorsed in passport AND immigration stamp allocating amount of days to remain in Zimbabwe). You must removed the vehicle from Zimbabwe within the days allocated on the temporary import permit, otherwise you are liable for a minimum fine of US$400, or the vehicle will be impounded by ZIMRA or both. I am not sure what a traffic registar number you are referring to but the answer is NO. You just need to have the South African registration book and if you are the owner no problem, if you are not the owner then a certified copy of authority from the person or company that owns the vehicle allowing you to drive the car. what documents are required at the zimbabwe border if you are driving a company car. A letter from the company authorising you to drive the vehicle and take it across border into Zimbabwe, stating the dates of travel. If the vehicle is financed also an authorisation letter from the finance company. It's a very good idea to get Zimbabwe insurance from the AA in South Africa, they have acredited agents in most of the big cities. It easier and cheaper than buying insurance at the Zim Border. Just go into the AA website and find the closest agent to you. I have taken my vehicle which was financed through to Zimbabwe many times. 1) A letter from the finance company/bank stating that you are authorised to take the vehicle into Zimbabwe - ensure that the dates of travel are specified. 2) Your insurance cover document (The guys in Zimbabwe might still require you to buy Zimbabwe insurance even though your insurance letter states it covers you in Zimbabwe. Make sure it states that it covers 3rd party and you might be okay, I think its a bit of a money making thing. Insurance cost $30 if you have to buy it there) If you can get the yellow card Comesa insurance from the AA this does work. 3) Original or certified copy of your registration book. Thats all you need, but avoid Beitbridge if you can, it's a horrible border post. You need white reflectors on the front - round ones or if not get a strip about 2 inches long on each side. If you are in a bakkie then you need to get a red reflector strip that is the entire width of the back of the bakkie, if it's a normal car you need a red reflector strip on each side about 6 inches long. Hi,I'm crossing the border in September and would like advise because I'll be using our car which is still financed.I have already got the Border Letter from my Bank with a Copy of the car registration not stamped.I also have a letter from my Insurance showing that I'll be covered while in Zimbabwe.Do I need the Affidavit and is for what?? I have also taken a note that I need a Fire Extinguisher, Triangle and Reflectors( Please advise on the type of Reflectors I need. What else do I still need for Beit Bridge Border?Please help,I don't want to be stuck because of the documentation. I am not sure I know the answer to your question. Normally letters of authorisation state a given period of time. i.e Valid from and to. If your letter doesn't state that and is has not been stamped or used in any way, then I would think that it will probably be okay. If at all possible get a new one though as you never know what the customs guys will do. hi. I want to cross the border into Zim from Botswana using a friend's car, I want to know for how long the letter authorising me to drive the car is valid from date of authorising. I have one that I used about 2 months ago when I used the same car, do I need to get a new letter? HIY IM THINKING TO BUY A CAR IN ZIMBABWE AND COME BACK WITH IT HERE IN SOUTH AFRICA, WHICH DOCUMENTS I SHOULD HAVE TO BUY THE CAR THERE? 2. Letter on a letterhead (for company owned cars) or an affidavit (for individually owned cars) authorising you to drive the car to Zimbabwe. The cost of taking a car of 2000cc or under into Zimbabwe currently stands at around R580 or US$63. Component costs are pegged in US$ so the rand value fluctuates with the exchange rate. On the Zimbabwe side make sure you get a temporary import permit. Police at the border will ask to see the items listed above. A commercial goods vehicle guarantee is only need for vehicles using a commercial permit. Private vehicles do not need a CVG. The guy who had to pay R600 coke for a CID officer was obviously scammed. The total official amount you pay at the border for a private car (under 2000cc) is is $63 or R560, and that is for a USD:ZAR rate of about 1 : 8.5 and also taking into account that they usually round up each component charge to the nearest R10. If possible avoid getting assistance from the 'boys' milling around the border. They usually tip off the officers on who is new to the border and can be scammed. Do not handover your papers to the boys offering assistance. Some of them will withhold your papers until you pay them exorbitant fees. It's not only the Somalis who are good at the ransom business. If in any doubt go to the supervisor's desk and ask for help or an explanation. Thanks for the update, really appreciated. I have also just returned from a trip through Zimbabwe through Bietbridge border, (which I would advise and will advise everyone to avoid at all costs) but NO police clearance was asked for. It is not a requirement. Roads blocks and speed cameras were a pain in the neck! We are back from our 2 week long road trip through Botswana, Namibia and Zimbabwe. We crossed the borders several times at various locations. We had 5 vehicles in total in our group. Our vehicle documents were not asked for at any of the borders. I am sure this would have been different if we were not fully prepared as we were. Apart from not seeing as many animals as we would have liked, we had an amazing journey. That would be great, please let us know the latest and if they infact checked for police clearance because it's always a bit of a grey area. Thank you. I have in the mean time obtained the police clearance for our vehicle. We are leaving for our trip this weekend. I will inform you of any interesting developments if any when we are back in 2 weeks. The requiremnts for 2010 are the same in 2012. Original registration documents required. Bietbridge, Plumtree, Pandamatenga and Kazangula do not seem to need any police clearance. However border posts on the northern border, Kariba and Chirundu do seem to ask for police clearance. The comments and tips regarding what documentation to have with you when you enter Zimbabwe with a vehicle is dated 2010. I am leaving for a 2 week trip through Namibia, Zimbabwe and Botswana and I very recently heard that one need to have a Police Clearance Certificate for your vehicle. Does anyone know if this is indeed the case. My current understanding is that you only need to have the original registration documents if the vehicle is registered in your own name. I have recently just entered ZIM through Beit bridge Border post . I was driving a Company registed vehicle. Forbes Mutare CID told me that this was not necessary. I had to pay a R600 "Coke"to the CID officer to get my ticket stamped by him. This is a scam.. beware. I know what you mean it's difficult to find the red reflectors in SA, I searched in Pietermaritzburg and couldn't find any. Eventually ended buying in Bulawayo which was easy but already had picked up a fine US$10) just on the other side of the border, it's Africa kind of trap. I did hear that the AA were able to help. Please let us know if you have any joy. Please can you advise where one can buy reflective tape for the rear of vehicle travelling to Zimbabwe. Various outlooks in Stellenbosch have not heard of it!!!!! It's not really too much hassle bringing a car into Zim, however Beitbridge can be a bit of a busy border post with long delays when heading north. You might find it easier to go via Botswana and enter Zim through Plumtree or Kazangula, that's what most people do when coming up from Jhb. You will pay approximately Pula 160 to take a vehicle into Botswana, so it costs a bit more and it is another border post but saves you a lot of headaches that Beitbridge can give. Original or Police certified copy of vehicle registration book and a letter of permission to use the vehicle if the registration book is not in the travellers own name. Non Zimbabwe vehicles pay a Carbon Tax valid for 30 days. Cost depends on engine size. 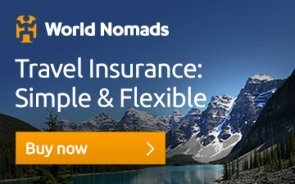 3rd Party Insurance - cost approx US$30 for the 12 months. Alternatively obtain a Comesa Yellow card from an Insurance Provider. This is Valid for all SADCC countries. Enquire with your insurer. Zimbabwe law requires that all vehicles have white reflective tape on the front bumper and red reflective tape on the rear bumper. You can get fined if you don?t have these. Carry your drivers licence and vehicle entry documents with you at all times, to avoid any hassles at the road blocks. Ian I am in the final stages of producing a down-loadable guide that will detail many of the questions people ask when travelling to Zim. I will be selling it on our site soon and it includes loads of things like maps, tour of the falls, photos and lots of other local information etc. I am currently wanting to get feedback about it before launch so am offering to send it out Free at this stage for some feed back, if you would like a copy, please send me your email address and I will send it to you.